All American-led missions targeting the Islamic State carried out from a major air base in southern Turkey have been brought to a grinding halt less than 24 hours after the country's government thwarted an attempted military coup. Turkish authorities suspended American operations against ISIS at Incirlik Airbase in southern Turkey on Saturday following a decision to close Turkish base to military aircraft. "The Turkish government has closed its airspace to military aircraft, and as a result air operations at Incirlik Air Base have been halted at this time," multiple news outlets reported Pentagon Press Secretary Peter Cook said in a statement, adding that officials were "working with the Turks to resume air operations there as soon as possible." In an effort to minimize the effects of Incirlik's closure on counter-ISIS strike missions U.S. Central Command was "adjusting flight operations," Cook said. Turkish officials reportedly enacted a series of airspace restrictions Saturday as part of preventative measures aimed at keeping "rogue aircrafts from targeting civilians or government buildings" following an attempted coup by a faction of the Turkish military, an anonymous senior Turkish official told the Wall Street Journal. Some members of Turkey's government were suspicious that Incirlik Air Base had been used for refueling purposes by pilots participating in the coup, the paper reported. Prior to the Pentagon's announcement, U.S. citizens had been advised to avoid Incirlik Air Base in a message from the U.S. Embassy in Turkey. 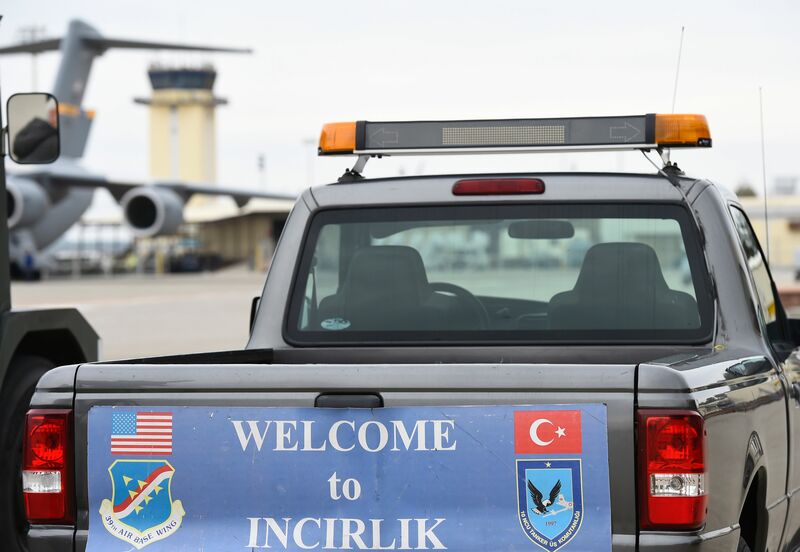 "Be advised that local authorities are denying movements on to and off of Incirlik Air Base," the embassy said, adding power to the air base had been cut. "Please avoid the air base until normal operations have been restored." Shortly after news of the coup attempt broke late Friday, the Pentagon had said airstrike and surveillance missions carried out from Incirlik had not been impacted. An estimated 1,700 U.S. service members are stationed at the base, which is located near the Syrian border. Incirlik has served as a critical logistical center for strike operations against the Islamic State in Syria and Iraq. The Pentagon has assured reporters all U.S. government personnel stationed in Turkey appeared to be safe. At least 161 people were killed with an additional 1,440 people injured overnight Friday when Turkish President Recep Tayyip Erdogan called for pro-government supporters to take to the streets in opposition to an attempted coup reportedly launched by a faction of Turkey's military. Soldiers temporarily seized control of a state-run television station, the nation's parliament building in Ankara, Istanbul's airport, and one of the city's major bridges before the Turkish government was able to wrestle back control and declare the coup a failure. Roughly 2,839 military members and 2,745 judges and prosecutors were arrested in a massive roundup by the Turkish government following the coup attempt.